BRYAN EATON/Staff photo. 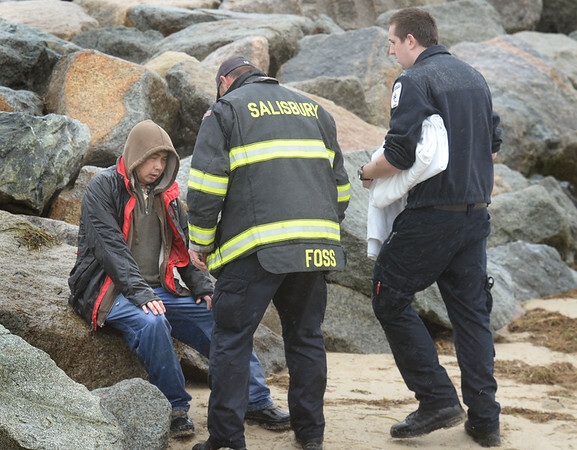 A Salisbury firefighter tends to the passenger of a boat that capsized and got hung up on the north jetty of the Merrimack River with awaiting EMT's. Another person was still missing from the boat as of press time.